Microsoft’s annual global partner event, Microsoft Inspire, is just around the corner. With over 16,000 expected attendees, MS Inspire provides many opportunities for MS partners to learn, network, and collaborate. As a strategic Microsoft partner, we are looking forward to attending and highlighting our value proposition. NooBaa for Microsoft allows customers to enhance their data management, abstract their on-premises storage, reduce costs, and even spin up NooBaa Core directly from Azure marketplace. NooBaa can abstract any local storage silo as well as any AWS S3 and Azure Blob storage. This abstraction layer is an actual object storage that can span on top the abstraction layer and use seamlessley any virtual, physical, shared or dedicated storage. The abstraction layer makes it simpler and easier for organizations of every size, industry, and geography to quickly and securely store data anytime, anywhere. With NooBaa, it's easy to migrate from AWS S3, create a multi-cloud architecture or simply create an hybrid solution. NooBaa team willl be at Booth# 1344 in the Expo Hall during the Expo hours July 9-July 12. While we will be showcasing our product and its capabilities, we are also looking forward to collaborating with other Microsoft partners to help spearhead our solution to market with partners. Whether you are a technology partner or reseller, we would love to talk with you! Email info@noobaa.com if you want to learn more or schedule a personal meeting with our team via the following scheduling tool. 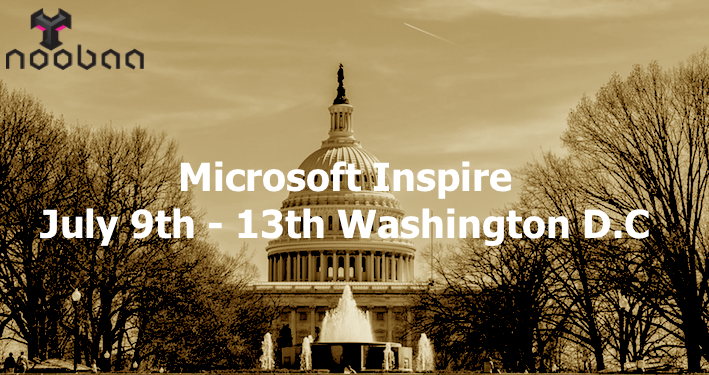 See you at Microsoft Inspire!